"American Eagle (Ann Arbor War Memorial Eagle)" Close-up of eagle's head with streaking. 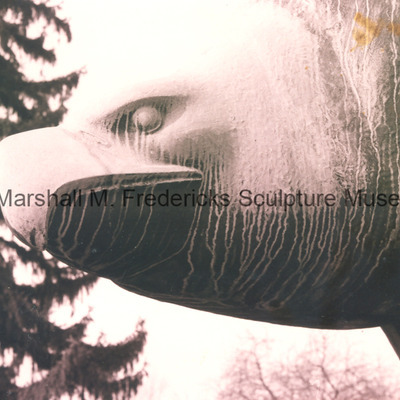 Close-up of Eagle sculpture's head at the University of Michigan Stadium. Corrosion is evident on areas most exposed to weathering and in runoff streaks. "American Eagle (Ann Arbor War Memorial Eagle)" Close-up of eagle's head. 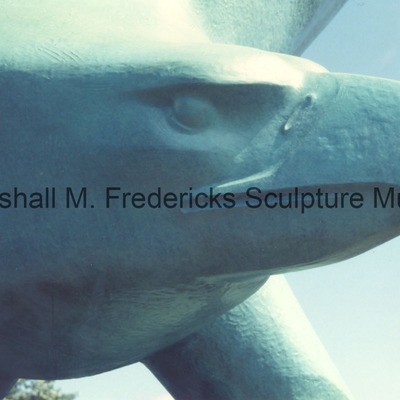 Close-up of Eagle sculpture's head at the University of Michigan Stadium. "American Eagle (Ann Arbor War Memorial Eagle)" Close-up of front view with marigolds and stadium in background. 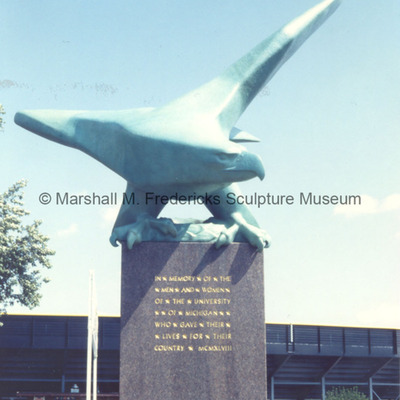 Front view of Eagle sculpture at the University of Michigan Stadium. 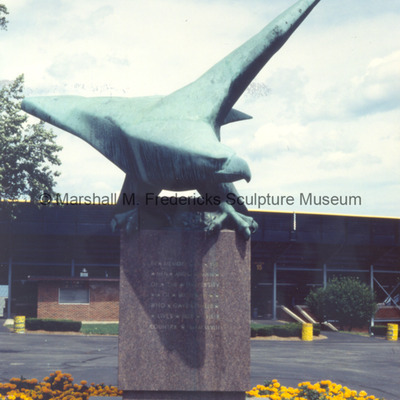 "American Eagle (Ann Arbor War Memorial Eagle)" Front view with marigolds and stadium in background. 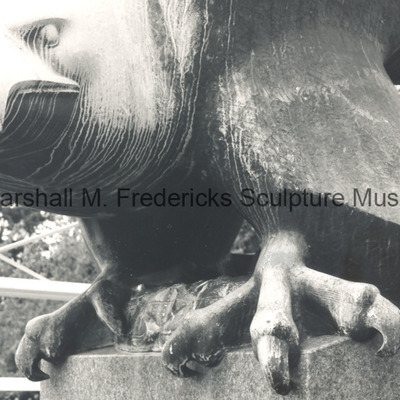 "American Eagle (Ann Arbor War Memorial Eagle)" Detail of eagle's talons with streaking. 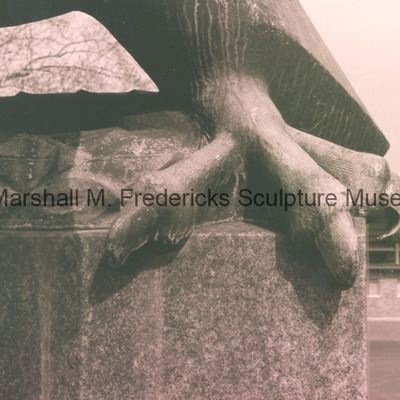 Detail of Eagle sculpture's talons at the University of Michigan Stadium. Corrosion is evident on areas most exposed to weathering and in runoff streaks. 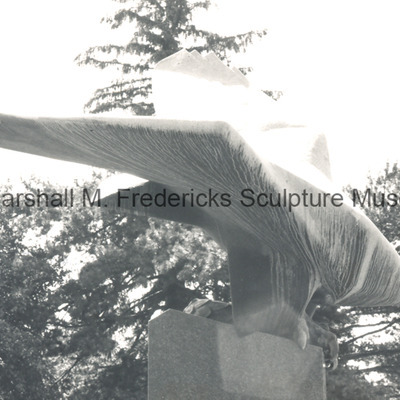 "American Eagle (Ann Arbor War Memorial Eagle)" Detail of eagle's head with streaking. 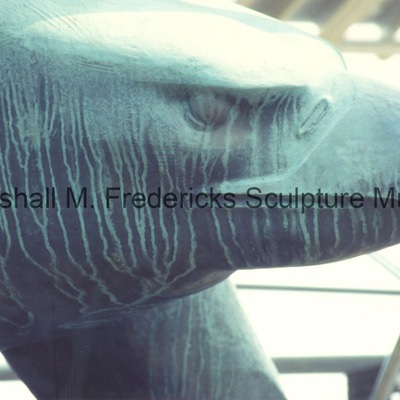 Detail of Eagle sculpture's head at the University of Michigan Stadium. Corrosion is evident on areas most exposed to weathering and in runoff streaks. "American Eagle (Ann Arbor War Memorial Eagle)" Detail of front with streaking. 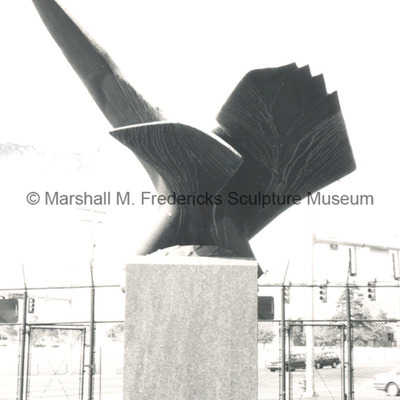 Detail of front view of Eagle sculpture at the University of Michigan Stadium. Corrosion is evident on areas most exposed to weathering and in runoff streaks. "American Eagle (Ann Arbor War Memorial Eagle)" Rear view of wings and tail with streaking. 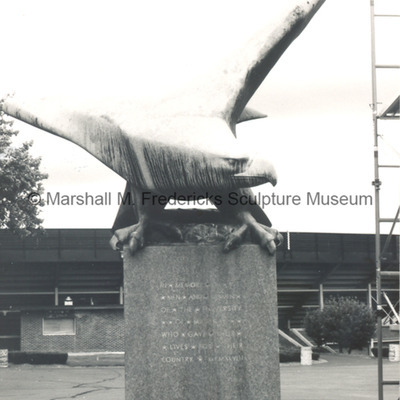 "American Eagle (Ann Arbor War Memorial Eagle)" Side view with streaking and trees in the background.